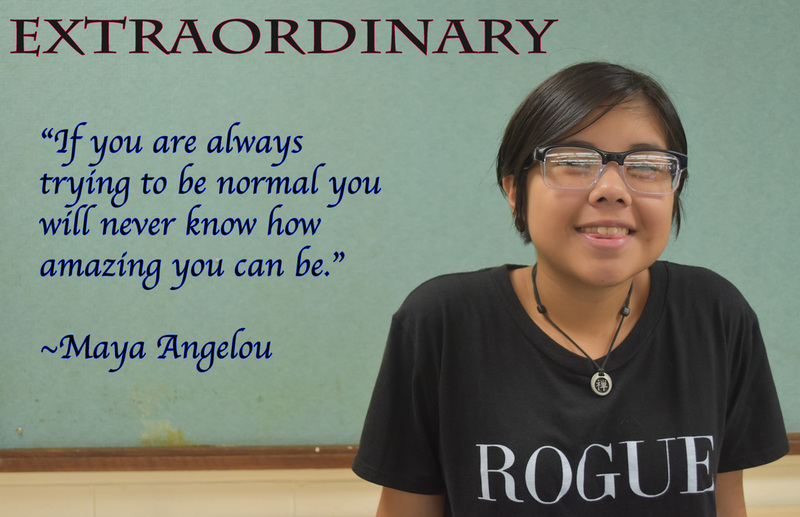 I chose Extraordinary to describe me since I have so many strange, but good qualities about me. I chose red and blue colors to outline my words because against a green background, dark blue and red stand out. The colors naturally contrast against each other, and make the letters more visible. I tried putting as much space as possible so both pieces of writing could be seen as separate pieces. My margin isn't that great, but it's still there. There's margin around my text, my word, and myself. My word had a big font so your eye would go to that first. So it would pop out. I chose a different, smaller font for the text so your eyes would go to that second. But, of course, it's still visible. 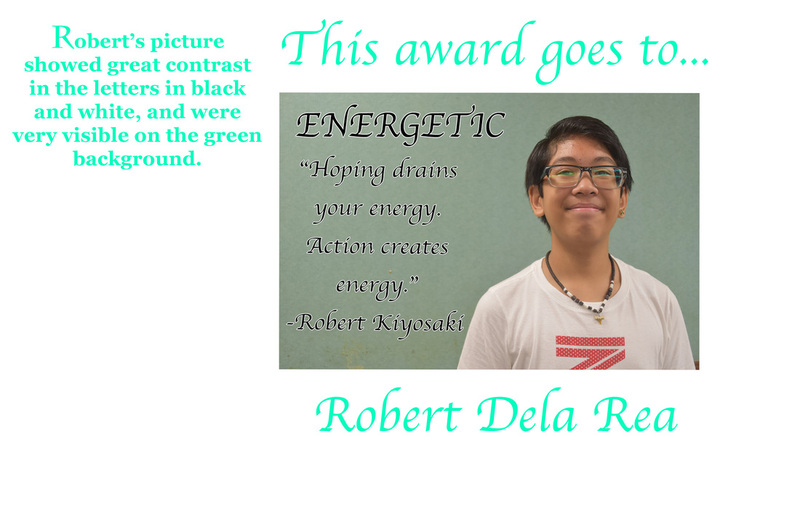 My award goes to Robert for his Photoshop Project​!! 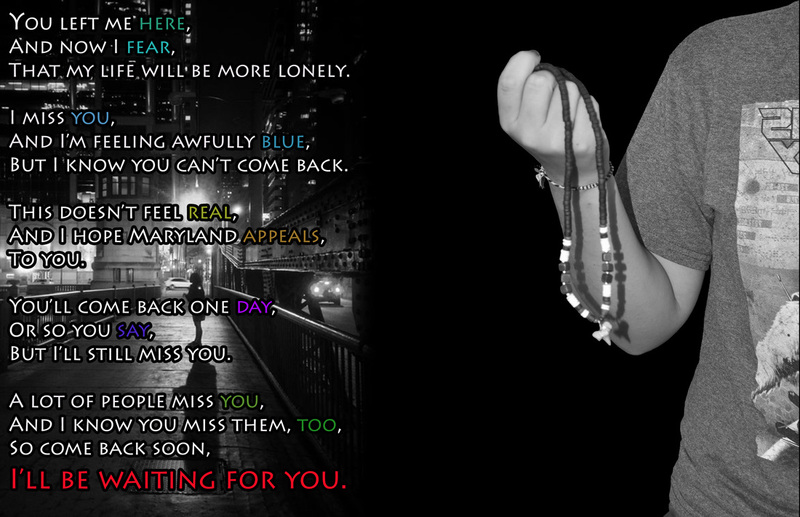 This photoshop project is about a really close friend of mine who moved to Maryland. We looked alike, acted alike, and he was my best friend. People on so many occasions thought he was my brother. I chose the background of the girl in the city, as a symbolism to me feeling slightly abandoned and alone. My other image, is of me holding a necklace he gave me before leaving. I gave him my favorite necklace, and he gave me his. The text is a poem I made for him, and I honestly really connect with it. I'm excited to send it to him, since I miss him so much. We were supposed to make a project of something important to you. Some people did feminism, and gun violence, but since Robert left I've been really distant in my own personal grief. So I chose this for my project. I used different colors at the end of every rhyme, so I could show that they did indeed rhyme, and make the picture a little more colorful. The poem was written from me to him, and it's a little personal. But if it was too personal, I wouldn't be posting it here. 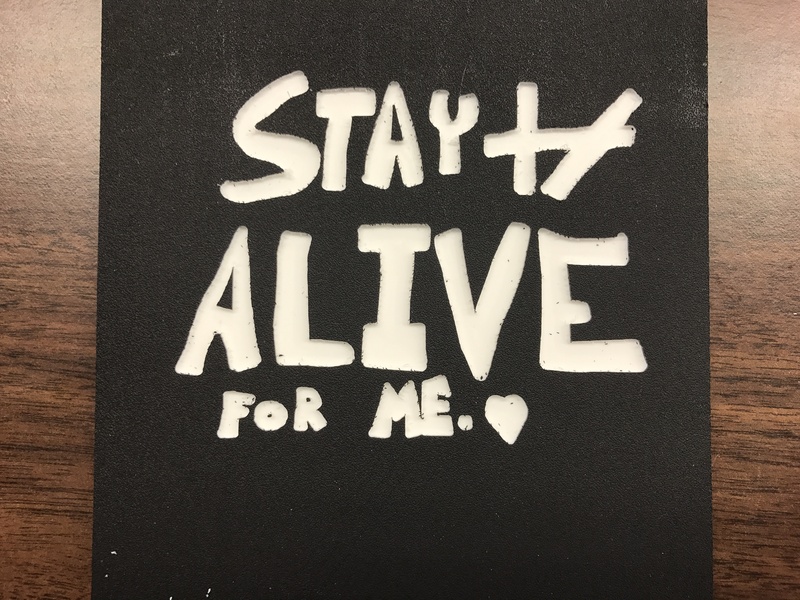 So this is my project. I think our biggest success, at least I think, is the room with all the records in it. The book case, the jukebox, the records, the flowers, the paintings. I just love it all. I think everything in that room is just so me, and Molly, combined in one room. And I think we could have not as many horses, and not spent so much time talking about them as well.